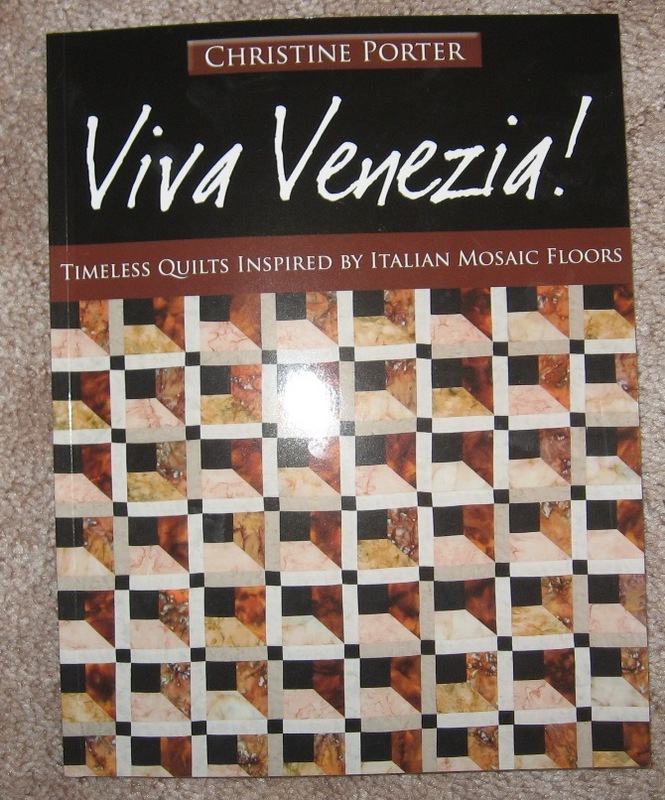 If you’ve ever been to Venice or probably any part of Italy, check out this book. You’ll love it, if you liked the mosaic floors. Ok, so that was Saturday. Sunday my DH and I went down to the little town where he grew up for their yearly picnic. His sister came up from Oklahoma, so we got to visit with her. I was glad because I only know a few people. Anyway, it’s about 2 hours south of here, so I had time to do some handwork in the car. I worked on my state flowers and birds block. The part you can see, is what I accomplished on the road yesterday. 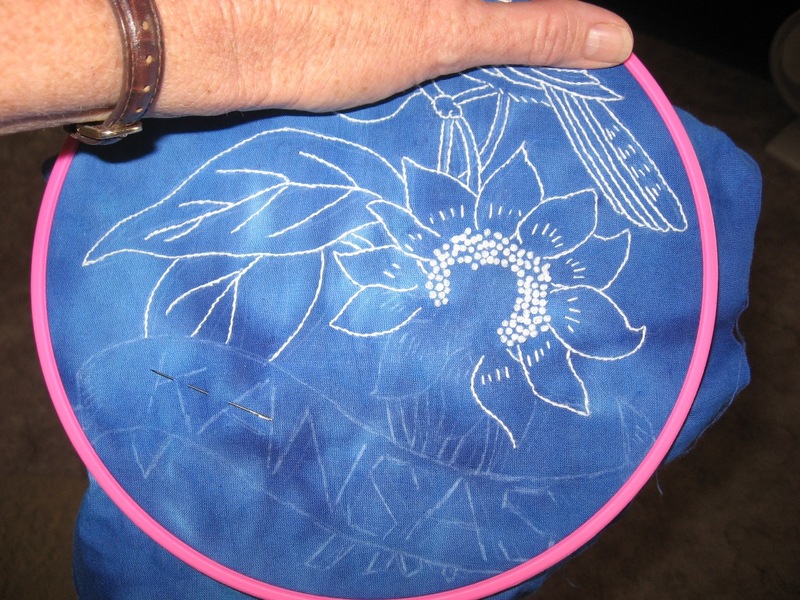 Those little french knots take forever. LOL! Anyway, I’m getting close to finishing block 1 of 50. LOL!!!!!!! My 10 minutes a day of sewing is working out too. When we got home last night, I went down and did my sewing for the day. I now have the 2 halves of the quilt completed, and all I have left is to sew the 2 sections together. Then I have to decide what to do with the border. I want some pizazz in the border. Anyway, I’m just happy that after my sewing today, the top will be together. Yeah!!!!!!!!! I guess that’s it for today, I better get down and get to work, or the day will get away from me and I won’t get as much done as I hope to. Oh, I almost forgot, my great weekend started Friday night, when my nephew won at the races!! Of course, I didn’t carry my camera along that night. It figures!!! Danny is still the points leader with one more week of racing left. I hope he can hold on and be the track champion!!! Funny, I just bought this book too. It arrived today!!!!! 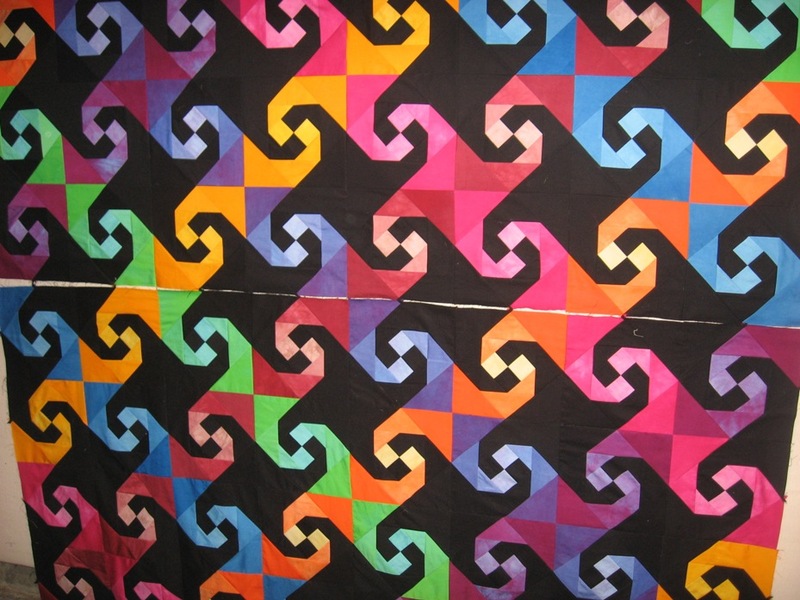 Wow, that quilt is gorgeous – I just *love* your colour choices!